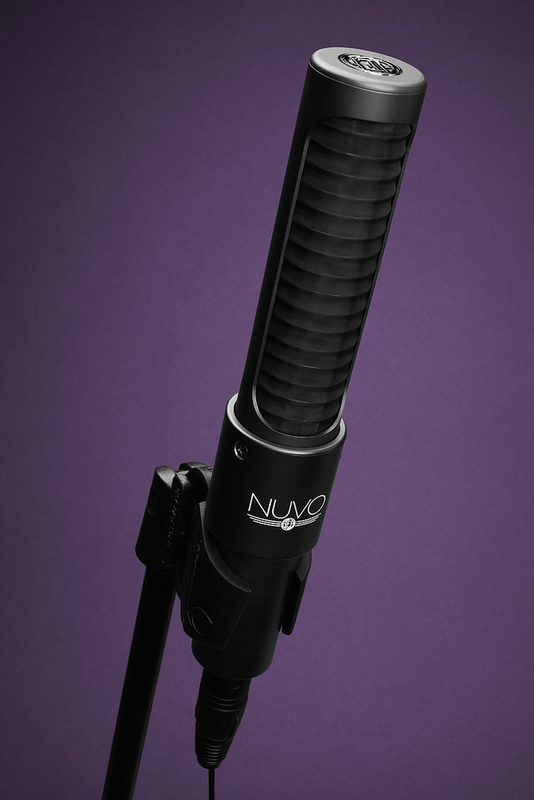 AEA continue their quest to modernise the ribbon mic, with this worthy addition to their new Nuvo range. Dismissed by most as obsolete technology only a couple of decades ago, the humble ribbon microphone has seen a miraculous resurgence in popularity in recent years. Today, a remarkable number of mic manufacturers now offer at least one ribbon model in their range, including mainstream brands like Audio-Technica, Shure and Rode. Among the long-standing ribbon mic specialists, though, such as Royer and Coles, Wes Dooley’s AEA company stands out as offering possibly the widest range of ribbon models of any manufacturer, some based closely on revered vintage designs, and others being brand-new evolutions. 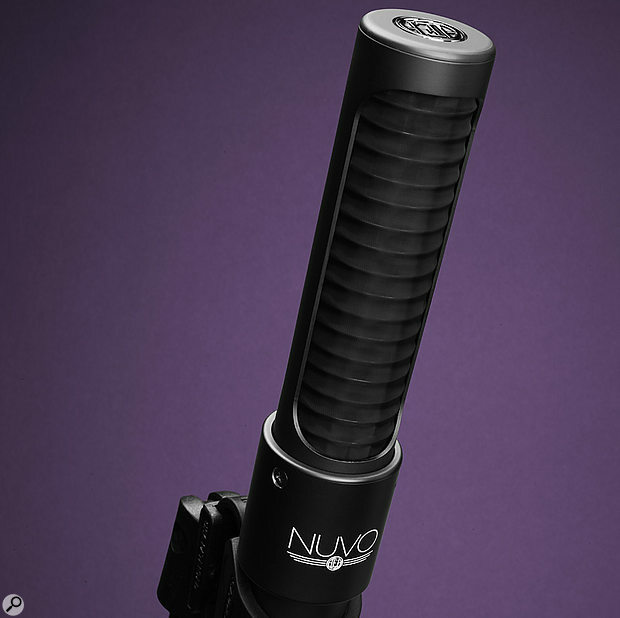 The Nuvo N8 is the latter: the second model in the Nuvo range, which builds on the company’s extensive knowledge and experience of ribbon mic technology. Based on the traditional ‘long ribbon’ concept, but with active phantom-powered buffering, the design of the N8 stems from Wes’s ideas of what a modern ribbon mic should be. Its well-received sibling, the N22 active ribbon, was reviewed by Paul White in April last year (www.soundonsound.com/sos/apr14/articles/aea-n22.htm). Although looking similar to the N22, which was aimed primarily at nearfield vocal duties, the new N8 is intended for a very broad range of instrumental and ensemble applications, working typically in the mid and far fields. It has been designed with a more open and natural tonal character, with emphasis on neutrality. Internally, the N8’s aluminium ribbon is exactly the same as that in the company’s R44 mic, at 60mm in length, 4.6mm wide and 1.8 microns thick. The mechanical design of the motor assembly closely resembles that of the R84, and it is also tuned in the same way, which maintains a pedigree shared with vintage RCA ribbons. However, unlike those old RCA mics, the N8 is actually very compact (and looks identical to the N22, aside from the colour!). Finished in a satin black, the N8 weighs 325g and measures 225mm in length by 42mm in diameter at its widest part — although most of the mic is a more slender 35mm. The ribbon element is housed in a very open frame protected behind a thin ribbed or corrugated mesh gauze; a combination which gives it a certain vintage look. It’s easy to see the ribbon behind the gauze in the N8, whereas it is invisible behind swathes of pop-shielding in the N22 — which probably accounts for a lot of its brighter and more open character! The base of the microphone carries the output XLR and is engraved with the mic’s serial number, while the top end cap carries the AEA logo in silver. Manufactured entirely in America, (although it uses a custom-made transformer output from Lehle in Germany), the N8 is supplied in a robust ABS plastic carry case with a foam lining, and comes complete with a simple rubber-loop-style shockmount and a fleece dust cover to protect the mic. I have to say I wasn’t entirely convinced about the efficacy of the shockmount design, and actually ended up using Rycote Studio InVision mounts, which seemed to do a better job of controlling mechanical vibration. The optional foam windshield sleeves were very effective, though, and well worth the expense. I was provided with a pair of N8s for this review (complete with optional foam windshields) so I was able to try out X-Y and M/S coincident arrays, as well as individual instrument miking. The published specifications show a remarkably flat frequency response between 200Hz and 5kHz, above which it tails off gently and very smoothly at roughly 6dB/octave. The proximity-effect compensating LF roll-off, which is evident in the N22’s published frequency response, is completely absent in the N8’s chart. The high end also appears better controlled with none of the response ripples seen in the N22’s plot. The figure-of-eight polar pattern is also almost perfectly consistent and symmetrical for all frequencies between 200Hz and 10kHz, with 35dB side nulls. The maximum SPL is given as 141dB (for one percent third-harmonic distortion), and although no figure is provided for self-noise I’m told it’s around 18dB (A-weighted), giving a respectable potential dynamic range of 123dB. Signal-voltage gain comes entirely from the custom step-up transformer, to give a nominal sensitivity output of a healthy 6.2mV/Pa. However, standard 48V phantom power is required for a unity-gain J-FET impedance buffer driving the output connector. This has a relatively thirsty current draw of 7mA, but provides complete immunity from the effects of cable lengths and preamp impedances. My first impression of the N8 is of a very natural, flattering sound typical of the classic ‘big ribbon’ designs of over half a century ago. There is a strong proximity effect when moderately close, but it’s not overwhelming and is easily controlled with EQ. More importantly, when used at a distance, the N8s sound very nicely balanced and weighty without being overpowering. The top end is smooth and detailed, and there is a natural openness without being bright. However, it is easy to extend the brightness and air with a shelf EQ while completely avoiding any hint of harshness or grittiness. To my ears, the new N8 sounds a little brighter and not quite as thick in the mid-range as AEA’s R84, both of which are advantages as far as I’m concerned. The very natural sound character of the N8, combined with its high overload margin, makes a pair of them a good choice for minimalist drum miking, either as traditional overheads, or as front and side ‘under-head’ mics. I found it also works well in the stock application of miking a guitar amp (although it is necessary to roll out the bottom end). I’ve owned a pair of AEA R92s for many years and use them a lot for relatively close miking of a wide range of instruments, including guitar amps, acoustic pianos and guitars, drums/percussion and vocals. They are great at what they do, and the different tonal character front and back is a handy feature, but the N8s proved rather more versatile and coped well with close-miking where many ribbons balanced for far-field use just don’t. For more classical orchestral instruments, the N8 sounded sublime on cello and violin, and (excuse the total heresy!) I think I preferred it to my life-long favourite ribbon, the Coles 4038! I was also able to compare the N8 with the Cloud 44A, which I reviewed recently and still had on the premises. The N8 sounds more modern and detailed, where the Cloud had a thicker and more vintage character. Horses for courses, of course, but I preferred the N8’s balance (and its more affordable price). This is a very nice and well-priced microphone and I think Wes and AEA really have realised a ribbon mic for the 21st century. Highly recommended. The N8 is priced to compete directly in the UK with the likes of SE Electronics’ RNR1, Cloud’s JRS34, and Shure’s KSM313/NE (previously the Crowley & Tripp Naked Eye Roswellite), with the Royer R121 costing only £100 ($200) more. There are quite a few more expensive ribbons around (most being stereo or vintage replicas), but also a lot more affordable models, including AEA’s own R84 and R92, Coles 404 and classic 4038, Royer’s R101, Audio-Technica’s AT4080, Sontronics’ Sigma and the new Rode NTR active ribbon. Full, but open and transparent sound character. An amazingly modern-sounding and versatile ribbon. Symmetrical figure-of-eight pattern allows use as a Side mic in M/S arrays. Not entirely convinced by the shockmount. A 21st-century reinvention of the classic RCA ‘big-ribbon’ concept in a modern, compact body with active buffering.